Universal standardization in diamond grading may take the industry to new heights. However, we haven’t reached that stage yet. It is important to realize this, as the reference to standards in international diamond forums is liable to create misunderstanding among diamantaires and the general public alike. If and when it emerges, standardization of diamond grading is going to take us far beyond the diamond exchange, to the stock exchange, where we can trade derivatives, futures and all those papers that can carry the monetary value of the diamond somewhere over the rainbow. Many dream of this. A few also have practical ideas and are planning measures for the future. But in the meantime, we need to realize that we are still tied to the physical diamond that passes from hand to hand, be it in internal trade within the local exchange or overseas sales through salespeople, courier companies and the like. Even virtual commerce – the online trade of stones and certificates – refers to a real diamond that will be passed from door to door and from hand to hand. You can also hear talk of standardization at the GIA (although, as we'll see later, they are very cautious about using this term). For example, Tom Moses, senior vice-president of the company writes: "GIA's mission of ensuring the public trust in gems and jewelry is reflected in [our] international research undertaking. And reminiscent of GIA's early innovations, I believe we will set the standards for cut quality the way we have set them for color and clarity for more than 50 years". Indeed, official industry organizations such as CIBJO and the WFDB have recently begun using the term "standard" in the context of gemological grading. This is somewhat misleading to an entire public that has not studied gemology and is liable to mistakenly think there is a standard. There isn't – at least not at the moment. Let's have a look at the disclaimer that accompanies the gemological certificates of one of the world's better-known institutes, and appears in the same or similar form on the certificates issued by all the other leading laboratories. "This report does not constitute a guarantee, estimate or evaluation … the laboratory is not responsible for and does not guarantee anything related to this report." Were you aware of this? 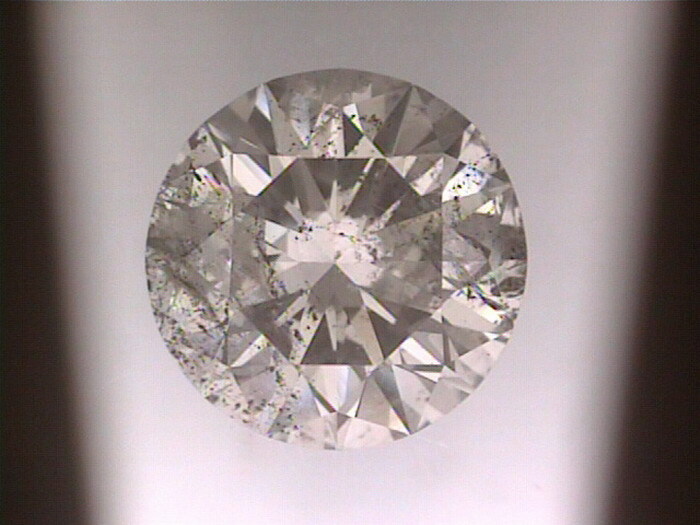 It seems no one gives much thought to this disclaimer, even though it appears on the gemological certificates – and justifiably so, for in the absence of a universal standard for gemological grading, it's impossible to provide an objective evaluation or guarantee that another examination will yield identical results. Take, for instance, a stone that is at the upper border of H, but is still within the H grade. Will every gemological laboratory grade the stone as an H, or can we assume that some will grade it as a G? To take the point even further we ask, will ten graders in the same laboratory grade this stone as an H or will some of them, even in the same laboratory, observing the stone under the same conditions, grade it as a G? The human eye is limited. Most people have difficulty differentiating between two or even three color grades. Most graders examine stones from the two master sides, as there are differences between the way the left and right eyes see things. Men see different colors than women do, both see colors differently in the morning and the afternoon and the impression also varies between New York and New Zealand or Newcastle. We have extensively discussed the subject of color grading. The situation is no different in the field of clarity grading. The number of flaws in a stone is a fairly objective matter. It can be assumed that a gemologist in Hong Kong, Israel or Antwerp will record the same result in this respect. However, when examining the size and location of a flaw, one gemologist may think it is as large as an elephant, while another will see it as a tiny mouse. To one it may seem the location is absolutely disastrous, while another will consider it totally ordinary and no cause for concern. Therefore, different gemologists in the same laboratory will give a different grade of clarity to the same stone. That is the unwritten reason that two gemologists check every stone, with a third being called upon in cases of controversy between them. The grading, then, is the outcome of a majority vote. Standards are not set by majority votes. A new grade has recently been introduced – the cut grade. Although cut is sometimes a synonym for processing, I can assure you than any dealer in Israel, India, the US, Belgium, Hong Kong or any other country will tell you that "cut" means "shape" – as in the original, widely accepted (and here "universal" is the right word) definition of the 4 Cs (carat, color, cut and clarity). In grading cut as interpreted today, there are two problems: first – we only know how to grade the cut of round stones, which represent about 50 percent of all diamonds sold in the market today. In the grading of rounds we only know what an optimal stone is, and from this very limited definition we develop "tolerances" – flexible borders – that expand the definition to include an increasing number of stones in the high end of the grade scale. All graders are intelligent, anyone can be right and no one can say they have received the word from on high that things should be done their way alone. Table 1 shows four leading systems for grading clarity. Some are similar and some are different from one another. Table 2 shows four leading systems for grading color. Here we find no similarity among the different laboratories. The preference of a given system by a certain laboratory or country does not make it more correct, and certainly not a standard. I believe that these two examples clarify the fact that at present we can talk about a system – or to be more accurate, systems – but there is no such thing as a standard. As the GIA says (again I quote the GIA – there is no question about it; this is the laboratory that sets the tone): "Since its introduction in the early 1950s, GIA's D-Z scale has been used to color grade the overwhelming majority of colorless to light yellow gem-quality polished diamonds" (John M. King, Ron H. Geurts, Al M. Gilberston and James E. Shigley, Gems & Gemology, Winter 2008). Anyone can see, then, that the leaders of the GIA are cautious and use the word "scale," and not "standard." Furthermore, they also say that this is the leading system, and not the exclusive or only one. Recently there has been some confusion, with some believing that if a laboratory has ISO 17025 it complies with a standard. However, the ISO international standard indicates quality of laboratory management, and not diamond grading. ISO 17025 was written for metrology laboratories, which require a higher management standard than ISO 9001, which is the accepted standard for quality management of gemological laboratories. It is good to require that the management of gemological laboratories complies with the 17025 standard, but such compliance does not signify that they are any better or worse as gemologists, and does not make their grading standard. As long as the technique is subjective and not objective, we cannot use the word "standard" in reference to diamond grading, because the term is misleading. To date the beauty in our industry is the variance in grading, which keeps the trade within the realm of illusion rather than commodities. I advocate a true standard, but its use must be genuine and well founded. It will be a welcome day when we start trading diamonds as a commodity, because it will take the diamond trade to new heights. We aren't there yet.